What Happened When I Said, "No More Graphic Novels!" However, as I fielded requests for the missing copy of Amulet 3 and watched students flit restlessly as they waited, I started to think about what kids haven't read this year. The list was alarming. No one has picked up the Dragon Shoes series by Jessica Day George. A few students read Frindle, at my suggestion, but never moved on to the other Andrew Clements books. The series Among the Hidden, which has been a perennial favorite of fourth grade, was virtually untouched. So I did it. I said, "Between now and May 18 you must all read one chapter book, approved by me. Not a graphic novel." I expected resistance. I expected sulking. I expected anything except what I got. Because what I got was--total acceptance. "Can you help me find a chapter book?" one student asked. In two weeks the reading of the classroom changed. I have students on the fourth book of the Among the Hidden series. The One and Only Ivan has changed hands twice. Students have brought in their own books, from home or from the library, books that they have had and have been planning to read but never did. Kids who thought that books with no pictures were too hard for them or no fun are liking what they find. And they are still reading graphic novels, only now they are using them at extra times throughout the day--before school, in between classes, whenever they have an extra minute. In fact, my decree seems to have only increased demand for graphic novels. I love the surprises in teaching. In this case, a restriction led to more reading. Instead of feeling deprived, my students seemed to thrive. Would this have happened at the beginning of the year? I don't think so. I think that the experiences students had with graphic novels have gotten them ready for reading all of these other books. They just needed my nudge to get them there! Have you ever done something like this--something that surprised you? What were the results? What kid doesn't love learning about animal adaptations? In this age of Wild Kratts and Nat Geo Wild, it seems as if students know more about animals than ever before. An animal adaptations unit is the perfect way build on this background knowledge and encourage students to consider topics more deeply. It is also the perfect springboard for overlapping cycles of inquiry. I've never had hamsters, gerbils, or other typical classroom pets. But the classroom is always filled with animals! We've had mealworms, crickets, visiting toads and salamanders, tadpoles, and of course the birds who visit our feeders. The different animals have appealed to different groups of students. One boy (who happened to sit near the window) took an especial interest in recording the numbers of birds that we saw. He learned to identify the common species and started giving lessons to other students. 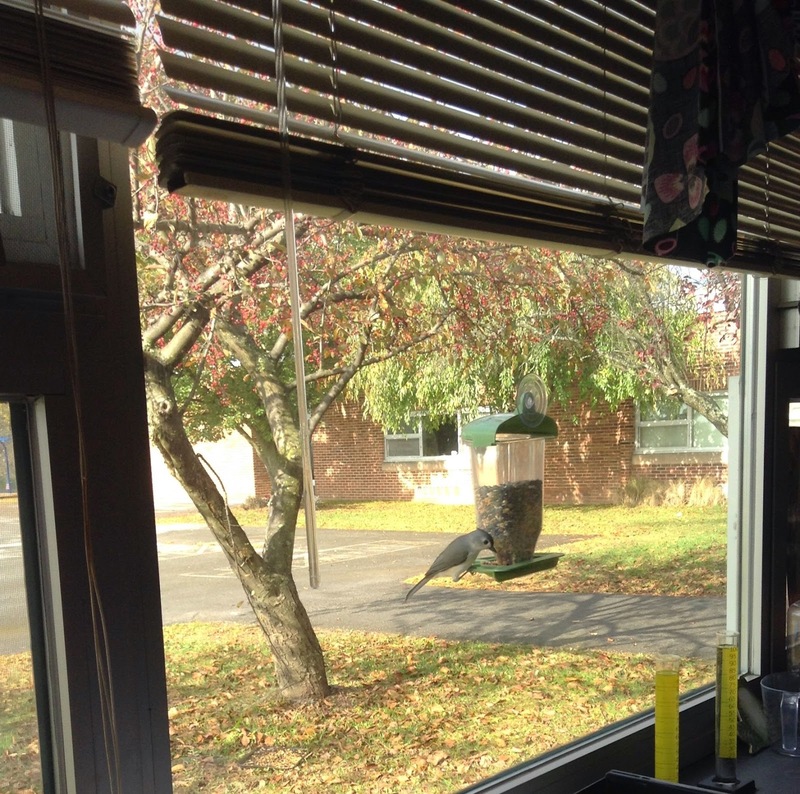 Over the course of the last few months, students have noticed that different birds prefer to feed in different places. "The chickadee and the tufted titmouse both come to the feeder, but the robins never do." Just a few weeks ago a student brought in some wood frog eggs, which have hatched into tadpoles. Students noticed that the tadpoles stay still most of the time. "Are they dead? They're not moving," was a common comment of the first few days. These experiences with watching and noticing were vital for our later talk about animal adaptations. Students began the formal lessons with their own firsthand experiences instead of just having secondhand experiences. These firsthand opportunities to observe and talk about animals in an informal way built a firm foundation for our later lessons. Several weeks ago I started more formal science lessons about animal adaptations. I started with a text that I wrote few years ago, a text designed to get kids saying the word "adaptations" over and over again! Students also used an embedded presentation on my student blog to take notes about camouflage. I've gone back and forth about categorizing examples of camouflage. On the one hand, it seems like going into too much detail. On the other hand, giving students lots of examples and strong vocabulary really enhances their conversations later. 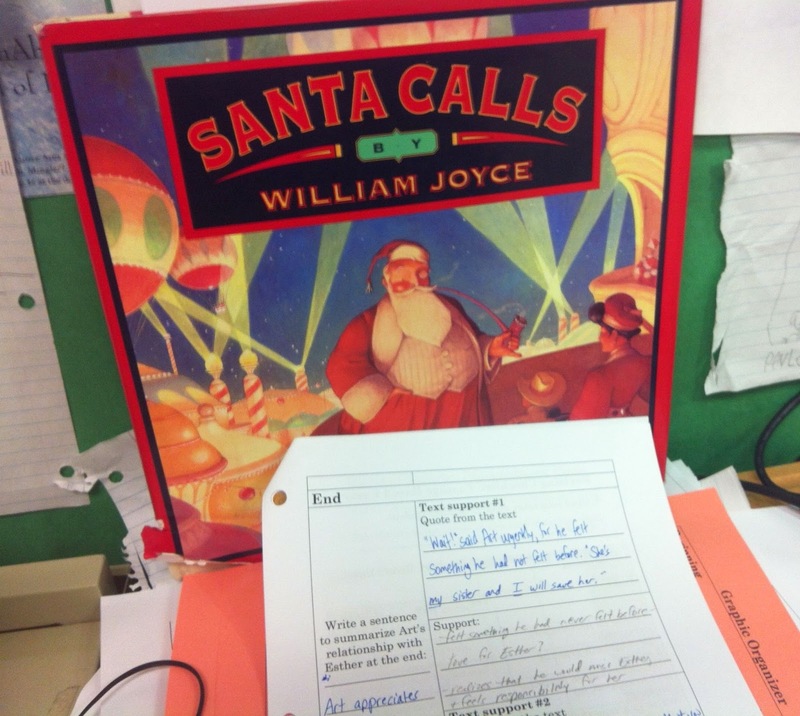 Right away, students were applying the ideas from the formal lessons into their daily observations. "The tadpoles don't move, probably because they blend in with the bottom of the pond," one student said. Looking out the window, another student reflected, "The robin's beak is like a set of chopsticks! I just saw it get a worm!" With all of these experiences, it became time to synthesize and put it all together! Students were asked to choose an animal and find information about its adaptations. This wasn't a normal animal report--students were specifically looking for information about the animal's adaptations. Some students chose to look back to animals they have previously studied. "I did a report on the red panda in third grade, can I work on it again?" one student asked. Other students took the opportunity to research new and unusual creatures. I offered a coupon bounty to students who would agree to study invertebrates--hey, invertebrates need some love! By this point in the year, students should be capable of conducting a simple Internet search and using the application of their choice to create a product. For the most part, things went smoothly. Questions came from students who needed some more help with crafting search terms or wondered how a feature helps an animal to survive. My hardest challenge? Keeping up as kids called my name from around the room--not for help, but because they wanted me to see the cool information they were finding. It was nice to see the synthesis of content and process in this stage. We have come so far as a community that whenever there was a question of "How do I...?" multiple hands went up to help. The conversations also centered firmly on the learning, as students were engaging with Internet resources to find adaptations that helped their creatures to survive. 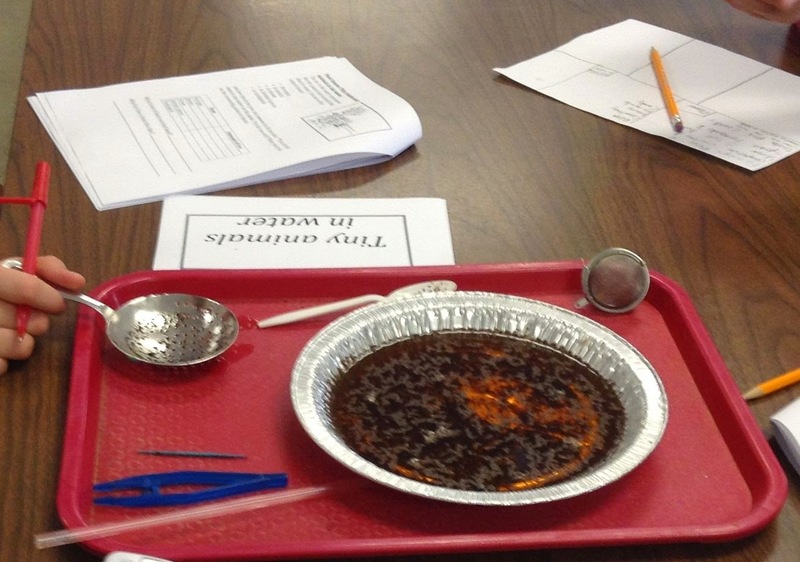 Yes, they loved it, but even more importantly, it was an activity that highlighted key learning for our grade level. Informal experiences can have a huge impact on more formal units. 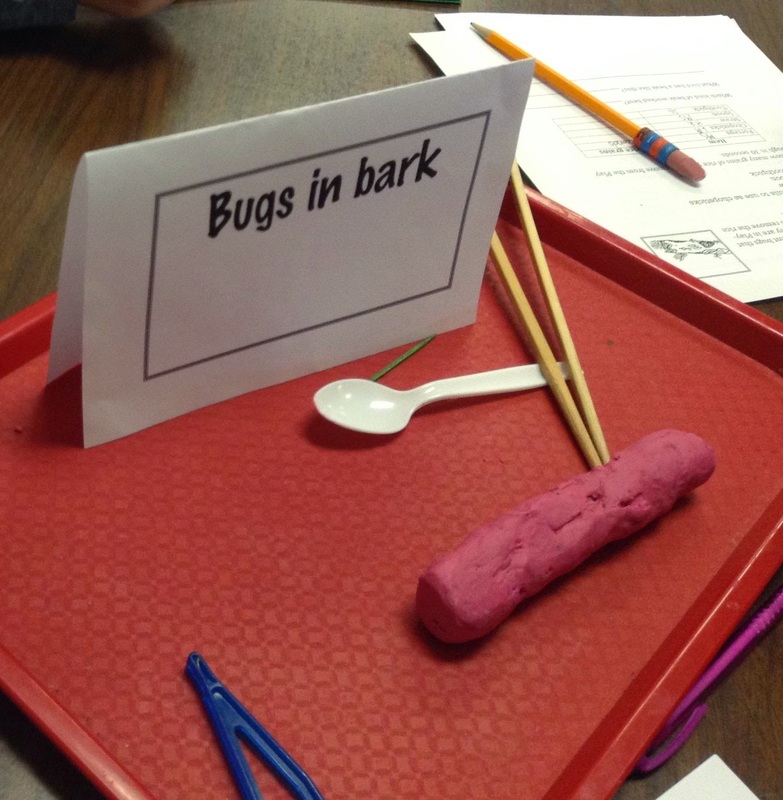 When working with animal adaptations, I saw that our work all year led to serious thinking about animal adaptations. And this is not bad for Day 5 of PSSA testing! Why do characters do what they do? Because our reading homework text this week focused on "Theseus and the Minotaur", I decided this was the perfect time to examine this question. After all, there are big questions of motive in "Theseus and the Minotaur"! A character's motive can be implied or stated--and it's important for readers to know the difference. 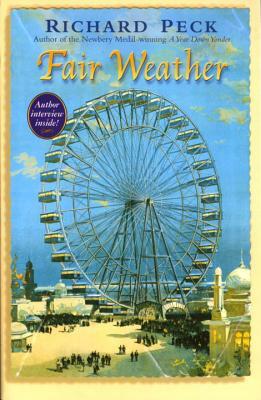 I modeled reading to find the difference between implied motives and stated motives with our read-aloud, Fair Weather. I just love this book! It seems that no matter what I want to teach, I can find it in the books of Richard Peck. This year I've been keeping a daily log of our reading with the Promethean board, which makes a handy flipchart and a great way for us to keep track of our thinking as we read. After we read the day's chapter, we talked about the actions of the characters. What were their motives--their reasons for doing what they did? A quick chart showing action and motive can illustrate this. Intermediate readers sometimes try to write the same statement for both action and motive. This reveals a bit of where they are developmentally---they confuse action with reason behind the action. 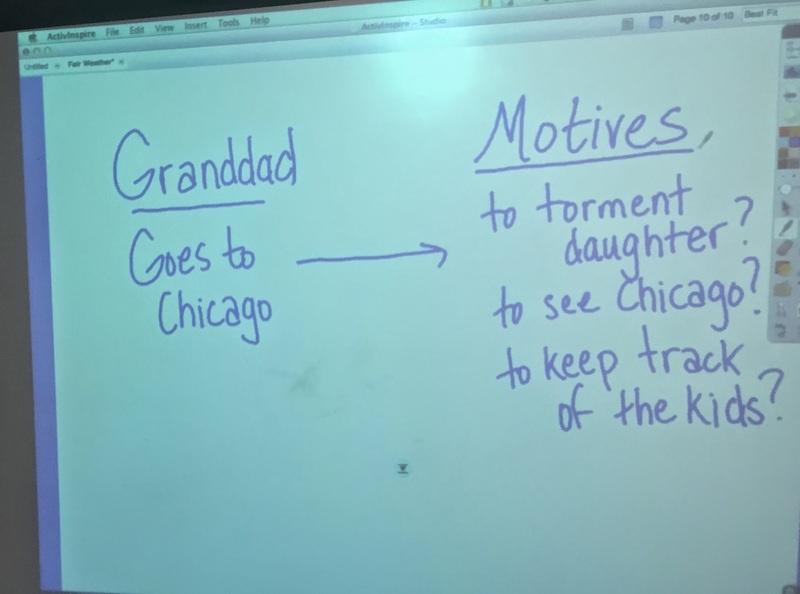 In the chart to the right, it took a bit of discussion before students stopped restating Granddad's action and started guessing at his motives. We put question marks behind these motives to show that we were guessing at them. These motives are implied in the text, and as readers we had to make inferences to figure them out. This contrasts with Mama's motives for sending Lottie and Rosie to Chicago--this motive is stated right there in the text, as she wants to "nip it in the bud" Lottie's romance with a neighboring farmhand. In a novel, readers have to play a long inference game, and we might have to wait a few chapters before we see how our inferences pan out. That's why keeping track of our thinking all along is so important! 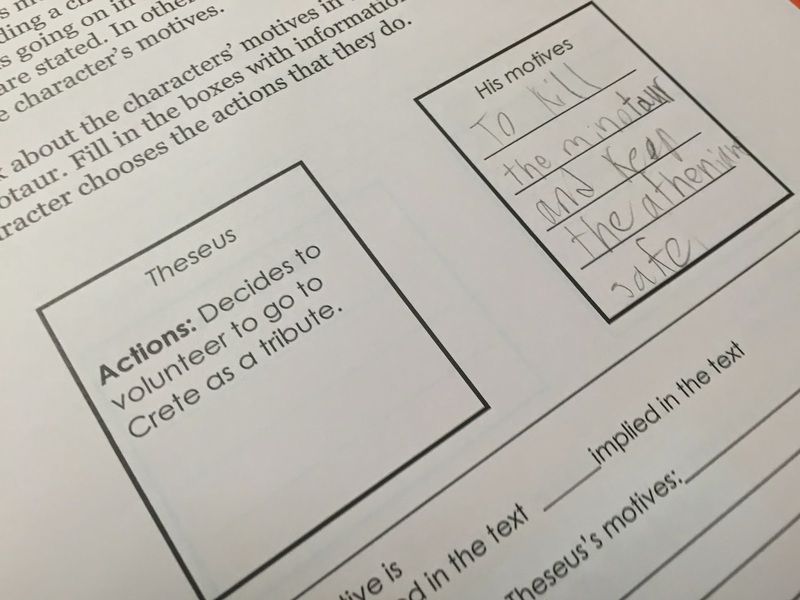 Students then worked with the familiar story "Theseus and the Minotaur" to make some guesses about character motives. (The story and the page are available in February Reading Homework.) I like having a partially filled out chart to scaffold students for success. This activity led to rich discussions between partners. Why did Ariadne betray her father? Why did Theseus go to Athens as a volunteer? Most importantly, students had to go back to the text to find evidence to support their thinking about motives. A few groups had put their stories away and tried to complete the task without looking back to the text. I didn't intervene at first, hoping that they would get to a point at which they would realize independently that they had to use the text. Fortunately, they did! And it's so much better for students to come to this conclusion on their own than for it to just be something that I tell them. I knew the lesson was successful when students started thinking beyond the text. "Why did King Minos build the labyrinth for the Minotaur, anyway?" one student asked. Their version of the myth did not go into detail about this. "And why did he leave Ariadne behind?" another asked. Hopefully once Percy Jackson's Greek Heroes comes out they will be able to find their own answers to these questions. The lesson had another layer of success--suddenly students wanted mythology books to read. Any lesson that leads to independent reading books flying off the shelves is brilliant in my book! More on the reader-based inferences used to figure out character motives can be found in Chapter 6 of The Forest and the Trees. This year I've been putting lots of thought into the new text-dependent analysis tasks that students have to complete for our state tests. 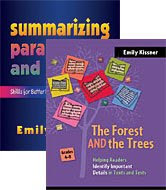 My fourth graders will have to write not one but two passage-based essays, in which they will be expected to write introductions and conclusions, weave quotes from the text into their essays, and use "sophisticated" transitions. It's an intimidating task! I've been thinking carefully about the task because I don't want to use unproductive shortcuts. Too often, hard tasks get reduced to instructional shortcuts. Teachers are worried that a process is too hard for students, break it down into chunks that are as easy as possible, and turn a difficult cognitive process into a formulaic writing response. (Anyone familiar with Four-Square Writing knows what this looks like!) This recipe-making begins with the best of intentions--to make a hard task manageable--but ends with students learning a dead-end "formula" that will not transfer well to new situations. So then I had to think--what are the most meaningful parts of this experience? Creating a passage-based essay has its own rewards. I also need to think about how some students will not achieve full proficiency with the passage-based essay this year. But it's important to me that each step along the way, everything that I teach, has its own meaning and importance. 1. Low-risk, easy experiences in quoting text details. I decided that the first thing students would need to be able to do is quote text. If you teach older students, quoting from a text may sound like a simple routine. But it's not! Young readers have to figure out which passages support what they are trying to prove and then copy it correctly. On top of that, they have to put quotation marks around it all! Trying to teach this WHILE making a graphic organizer and writing an essay is just too much. Get kids comfortable with writing quotations, and do it often. And if this is as far as a kid gets, it is still a meaning-making endeavor. 2. Creating a thesis statement. That's right. A thesis statement. Fourth graders can learn what this means, and they can learn how to write this. In fact, lots of great nonfiction picture books have beautifully written thesis statements! (I'm deep into the books of Nicola Davies right now, and her picture books have beautifully written thesis statements.) A thesis statement is just a sentence that explains what the essay will uncover. Sometimes a thesis statement is like an answer to a question in the prompt, but this varies depending on the prompt. Teaching fourth graders to write a thesis statement is challenging, which is why I'm glad that we haven't been working on passage-based essays as our only forms of writing. 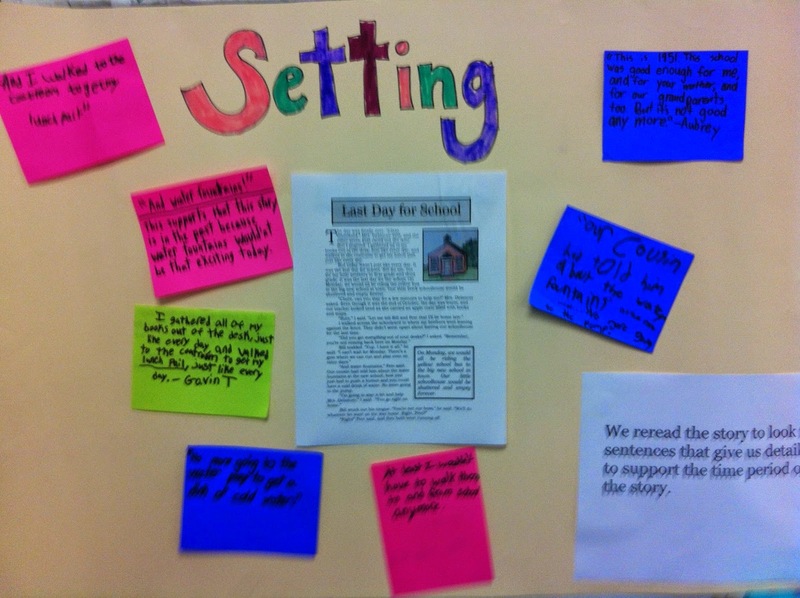 We just finished our Design-A-Land essays, which include a thesis statement frame. This experience has helped students to transfer their learning about the thesis statement over to passage-based essays. I have argued with other fourth grade teachers on this issue. Some think that it's not developmentally appropriate for fourth graders to do this; others think that there is no need to learn the terminology. But I think that writing a thesis statement is the heart of all essay writing. If you are going to skip the thesis, what's the point? 3. Identifying the areas of analysis. This step and creating a thesis statement really overlap. The areas of analysis become the body paragraphs--what students will write about and develop in the essay. How many areas of analysis are there? It depends on the prompt. This flexible thinking is hugely important and essential to the task...and it is what most of the shortcuts and cute acronyms overlook. In the two prompts that we used this week, Prompt 1 lends itself to two areas of analysis--the author's use of headings and chronological order to organize the piece. Prompt 3, on the other hand, only speaks to one area of analysis. Thinking through these areas of analysis help students to consider how many paragraphs they want to use and what text quotes they want to find. 4. Supporting the writing of introductions and conclusions. Introductions and conclusions are so hard! I love to use nonfiction picture books as mentor texts for this. This works especially well when students are writing a content-based response, as in Prompt 3 above. When students are writing a structure-based essay, as in Prompt 1, I have choice-based minilessons while students are writing. "Anyone who wants help with a conclusion, please meet me on the carpet," I'll say, and then students come forward and we talk about their issues with conclusions. Sometimes I'll even write up a frame based on our discussion and display it on the Promethean board for the rest of the class. Students like to navigate independently through the flipchart, finding the frames that we've made together and referring back to them. Students also like to have access to all of the passage-based essays that they've written before. (It's not that many--we're on our third.) I see them folding back the pages, thoughtfully looking at their previous introductions and conclusions. They certainly can't just copy them--the prompts are completely different--but I like to see how students look back to what they did before. We've had lots of discussions about these paragraphs. "Can an introduction be three sentences?" a student asked. "What is the job of an introduction?" I replied. Then we talked together about what an introduction does and how much "space" it should take up. Could it be only one sentence? Two? Or three? Of course it depends! Thinking through this question, and trying to judge the purposes of a writing component, is so much more valuable than just providing a formula. Again, other forms of writing have been useful for us. Introductions and conclusions are always necessary, but how do they look different across different kinds of writing? We are still on the road to passage-based essays, but students have grown in their use of text quotes and essay components. Fourth graders have an exceptionally hard time of separating content from structure--in fact, I'm beginning to realize that this concept is at the heart of reading instruction for students of this age. Yes, we are making the classroom look like a cave. 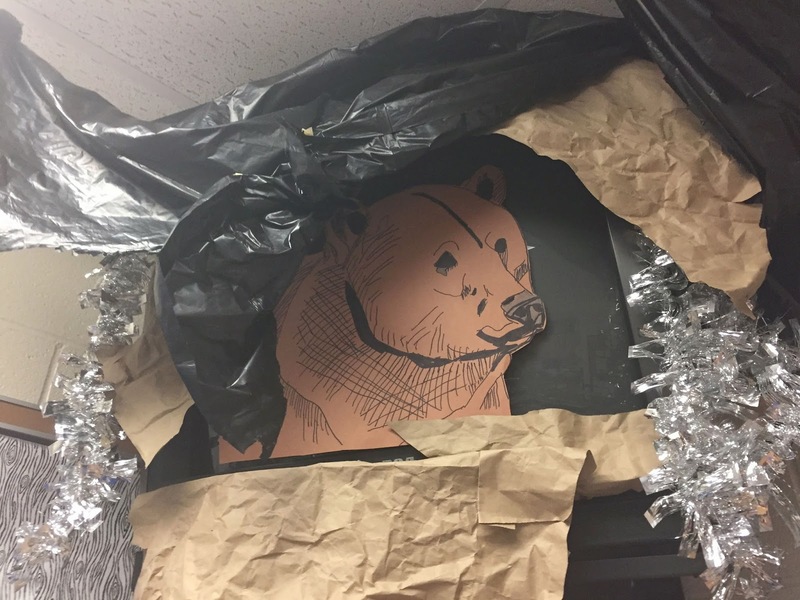 Don't you love this bear that a student made? I'm happy, though, because the topics that I have taught are all growing topics--concepts that are important to writing in general, not just writing for this specific task. In fifth grade and beyond students will have to quote text, create areas of analysis, and write introductions and conclusions. We are on our way! And I love fourth grade because we can move between talking about thesis statements and introductions and playing with pond water and decorating our classroom like a cave. Rigorous thinking and playful experiences within five minutes of each other...just the way I like it. 2016 Update: The wood frog text and prompts, with scaffolded graphic organizers, are included in Close Reading with Chronological Order Texts over at TeachersPayTeachers.